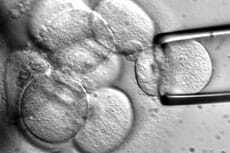 After a three-year legal battle, US Court of Appeals has upheld the District Court’s decision that permits federal funding of human embryonic stem cell (hESC) research. The original suit filed against Kathleen Sebelius, Secretary of the Department of Health and Human Services, and her colleagues by Dr. James Sherley alleged that hESC research guidelines published by the NIH to implement President Obama’s executive order violated the Dickey-Wicker Amendment, which bans federal funds for research that destroys embryos. The appellate judges’ ruling represents a momentous victory for stem cell research and the advancement of science.